I read this parable with a bit of fear and trembling. I would rather not have chosen it. But it did not seem appropriate to finish off a series on Jesus’ parables without taking on his stories about the end of things as we know them, and about judgment. The parables in chronological order leave us with a half dozen or so parables about watchfulness, about what to be doing if and when the master is away. I definitely have the feeling that Jesus is sensing his own suffering and death. He knows he is going to be leaving his disciples without him to guide and protect them, or to cover for their mistakes. He worries about what they will do when he is away. Hear this parable from the gospel of Matthew. “Then the kingdom of heaven will be like this. Ten bridesmaids took their lamps and went to meet the bridegroom. 2 Five of them were foolish, and five were wise. 3 When the foolish took their lamps, they took no oil with them; 4 but the wise took flasks of oil with their lamps. 5 As the bridegroom was delayed, all of them became drowsy and slept. 6 But at midnight there was a shout, ‘Look! Here is the bridegroom! Come out to meet him.’ 7 Then all those bridesmaids got up and trimmed their lamps. 8 The foolish said to the wise, ‘Give us some of your oil, for our lamps are going out.’ 9 But the wise replied, ‘No! there will not be enough for you and for us; you had better go to the dealers and buy some for yourselves.’ 10 And while they went to buy it, the bridegroom came, and those who were ready went with him into the wedding banquet; and the door was shut. 11 Later the other bridesmaids came also, saying, ‘Lord, lord, open to us.’ 12 But he replied, ‘Truly I tell you, I do not know you.’ 13 Keep awake therefore, for you know neither the day nor the hour. Is this what it comes down to? That one apparently arbitrary decision or thoughtless mistake marks the line between inclusion and exclusion from the ultimate party? This parable just doesn’t feel like the gospel. There. I said it. You may have been feeling it, too. Is there good news in this parable? Standing alone, perhaps not much, unless you identify with the wise bridesmaids. But I don’t even like them very much! They did not share their oil and sent their sisters away empty handed. And it is usually poor interpretation to identify with the hero as we interpret Jesus’ teaching. Our lessons are usually from the failures. Somehow in the stories spread over Matthew 24 and 25, Jesus was trying to prepare his disciples for his absence. He was going to die. He would not leave them alone – he would be with them in Spirit always. But it wasn’t going to feel the same. 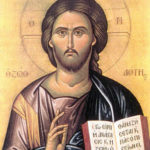 They were not going to be able to count on Jesus having all the answers, all the healing power, resolving every dispute with his deep wisdom. They were going to have to do it themselves. They couldn’t rely on others to bring their oil for them, not even Jesus. Matthew’s gospel was written 50 years after Jesus’ death. To wait expectantly for Jesus’ return, even though it has already been delayed beyond what first followers could have possibly imagined – this was a lot to ask. There is something in all of us that wants a hero to step in and save the day. That is why all those comic book heroes gather such following. But this parable tells us that it doesn’t work that way. Keep the light burning, but the wait will be long. Always having enough oil to light someone’s way. So I think the key question is: what does it mean to be alert, watchful, awake now, 2000 years later? Jesus was preparing the disciples for a huge change, a crux time of history. He was going away. He was going to die. Would they continue to wait for him, living their lives expecting to encounter Jesus at any moment? This parable only tells part of the story. It goes with the parables and teaching which precede and follow. Before this parable Jesus tells the disciples about the signs of the end of age, when this world’s power will crumble and great would be the fall. It will be obvious to all. Don’t let anyone side track you into some small corner. No one knows when it will be, so keep alert; but when it does happen, everyone will know. Then Jesus illustrates this with the parable of the ten bridesmaids. Keep alert. Be prepared to wait a long time. Don’t skimp on the oil in your lamps, because it is going to be a while. Then he tells the story about the master who gives his servants bags of gold and expects them to risk everything to invest the treasure and make more. And the whole teaching concludes with the well-known parable of the sheep and the goats. Essentially, everything he has said so far is summed up by saying that whenever we serve people we are serving Jesus. These three parables together describe the life of the alert disciple. • and use them to serve those who can’t ever repay you. This seems to be what Jesus means when he says “keep alert.” Keeping alert is living the way Jesus did, never giving up living the Way of love and compassion. I want to connect this parable with the oil stories of Elijah and Elisha. These stories of oil may be exactly what we need to hear. After Elijah called down a drought on King Ahab, God fed and watered him by a little brook. When it dried up, Elijah went to Zarephath, where he asked a widow to make her last bread for him, before feeding her son and herself. She took pity on the stranger, showed hospitality and fed him. Then her flour and oil never ran out until the rains came years later (1Kings 17). Elisha met a woman who needed help to pay her debts. He told her to borrow all the pots and jars she could find, then go into her house and start pouring oil into them, from her one small jar she had left. The oil kept pouring until she had filled every container in the neighborhood – enough to pay her debts (2 Kings 4). With God, oil keeps flowing. This is good news! What does oil do? In the parable it is fuel to give light. Elsewhere it is for healing and blessing and rituals of dedication. It keeps food from sticking and burning, yet holds it all together and gives flavor. It nourishes desert-dry skin. Bring plenty of oil. It has so many uses to make life better! The oil is like compassion which smooths the way for people to live together in unity. Like Jesus’ and his disciples, we are living in an in-between time. We live in the crux between eras, especially for the church. In the famous words of Phyllis Tickle, we are living through the church’s every-500-years rummage sale. Some of you came into the church today through the entrance from 55th Street. Evidence of transition and the impending rummage sale are everywhere in that hallway. Desks, files, binders. All there. Evidence of the transition in our office space. Taborspace and Church are blending our efforts by combining spaces and functions for administration and welcome. It is a good change. We will be more efficient. But during the transition, it is exhausting and messy. It is hard to live in the change time, and to wait for this part of the journey to be over and to reach the other side. We need the oil of compassion to smooth the way, and sooth the soul. Fill your lamps and bring extra. So, too, with the big “C” Church. The institution of the church we have known has reached the latter days of its life cycle. Its true. It is not bad news. It is not good news. It is just true that the next era of big “C” Church will look different. And it is painful to go through the dismantling. We need the oil of compassion to smooth the way, and sooth the soul. Fill your lamps and bring extra. I work with the New Ministries Team of our Presbytery. We are charged with helping churches think creatively about how to reach out within the communities around them. We use the presbytery’s resources to bless with oil the new efforts springing up. So far we have Columbia Future Forge, developing Mow Town, a lawn mowing business teaching youth to be entrepreneurs, each one mentored by a Jesus-following business person. Utmost Athletics is our newest partner, teaching youth to take care of their bodies in healthy ways, guided by people who care about them body and soul. McMinnville has a partner ministry in its community to nurture children. Throughout the metro area, we are supporting Ecumenical Youth Collectives, helping establish youth programs focused on discipleship and mission for churches partnering with other churches. We have Community of Pilgrims, too, which is a more traditional church model, but reaching out in particular to the hearing disabled. The resources the presbytery has acquired from property over the years is like oil of compassion to smooth the way forward for these ministries. We are in discussions about affordable housing, partnerships with senior centers and schools and community drama groups. These are just the handful of new church expressions which are springing up in our presbytery. And we are just barely getting started. It has only been about a year since we began this journey. We have oil in our lamps, and oil to spare. Invest it. Spread it around. The party is coming. Father Robert Capon has a delightful way with words. He concludes his thoughts on this parable with his interpretation that the party is already happening. There is good news here, just under the surface: When all is said and done—when we have scared ourselves silly with the now-or-never urgency of faith and the once-and-always finality of judgment—we need to take a deep breath and let it out with a laugh. Because what we are watching for is a party. And that party is not just down the street making up its mind when to come to us. It is already hiding in our basement, banging on our steam pipes, and laughing its way up our cellar stairs. The unknown day and hour of its finally bursting into the kitchen and roistering its way through the whole house is not dreadful; it is all part of the divine lark of grace. God is not our mother-in-law, coming to see whether her wedding-present china has been chipped. He is a funny Old Uncle with a salami under one arm and a bottle of wine under the other. We do indeed need to watch for him; but only because it would be such a pity to miss all the fun (“The End of the Storm,” in Kingdom, Grace, Judgment: Paradox, Outrage and Vindication in the Parables of Jesus [Grand Rapids: Eerdmans, 2002] p.501). So, keep alert. Bring plenty of oil. Bless the world. It begins to let the party out of the basement.